Discover a natural gem near our Klamath Falls hotel. Located under an hour’s drive away, Crater Lake National Park has inspired people for generations, encapsulating the beauty of the Pacific Northwest. At its center sits the eponymous lake, the deepest in the United States, distinguished by its clarity and deep blue color. 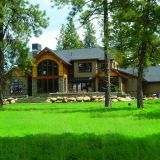 With prime accommodations, delectable dining, and luxurious onsite amenities through our spa and golf course, Running Y Ranch Resort is the premier choice in Crater Lake lodging. 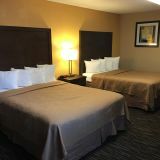 Enjoy an unparalleled experience at our hotel during your vacation to Crater Lake National Park. Read below for our guide to Crater Lake. No matter your reason for visiting Crater Lake, you’re bound to find a memorable experience waiting for you. Read below for visitor information. For hours to all amenities and sites, please visit the National Park Service. Passes are available for visitors looking to make multiple trips a year. Learn more about available passes at the National Park Service. From biking and fishing, to hiking and photography, Crater Lake offers the opportunity to enjoy a variety of activities. Whether your vacation takes place in the warm or cold months, you can discover a myriad of things to do at Crater Lake. Read below for some of our favorites. The 33-mile Rim Drive takes you on a breathtaking loop around the lake. With ups and downs throughout the entire ride, the road is sure to challenge even the most seasoned of cyclists. Be sure not to miss out on Ride the Rim Days, restricting road access to motor vehicles to provide ample space to concentrate on the path ahead. With over 90 trails covering a span of difficulties, Crater Lake is a hiker’s paradise. For the ultimate challenge, take the Pacific Crest Trail, a 33-mile pass through the park, offering magnificent views of the surrounding mountains. Winter at the park sees visitors enjoying a number of things to do in Crater Lake in cross-country skiing, snowmobiling, and snowshoeing. For all other inquiries, please refer to the FAQs on the National Park Service website.